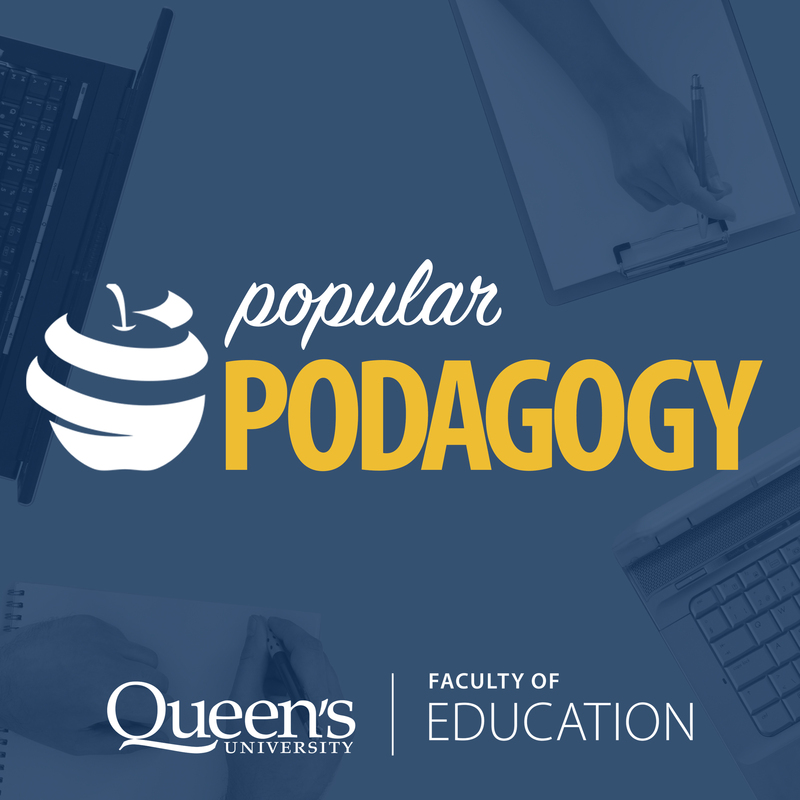 Popular Podagogy is a podcast from the Queen’s University Faculty of Education that will cover big teaching ideas in a way that will allow all teachers (and maybe even some parents) an opportunity to relate on a variety of emotional levels. Our guests will include top researchers and instructors from our faculty and beyond, as well as practicing teachers to combine big educational ideas with the everyday life of being a teacher. We hope that as you listen to this podcast, you will have an opportunity to relate to the lives of other teachers, enjoy some of our stories and maybe even pick up a tip or a trick along the way. Updates the first and the third Friday of every month. In this episode Alison Cummings – instructor and designer of CTE’s Intercultural Educators Training Program (IETP) and Training Coordinator for Queen’s University Human Resources – discusses intercultural education, the importance of self-reflection, and tips for teachers on accommodating diversity in their classrooms. Hear Dr. Ben Bolden talk to us about his love of podcasts (and how to bring them into the classroom), how he uses music and emotion in his research, the joy of composing music, and how he supports arts education through his UNESCO Chair in Arts and Learning. Hear recent B.Ed. graduate Caroline Reid reflect on life as a B.Ed. student, her alternative practicum at the National Centre for Truth and Reconciliation, and her experience with the Teacher Overseas Recruitment Fair (TORF) and Options that led to her first teaching job in Sweden. Featuring special guests Dr. Rebecca Luce-Kapler and Dr. Dennis Sumara Friday, December 7th, 2018 Listen to Dr. Rebecca Luce-Kapler, Dean of the Queen’s Faculty of Education and Dr. Dennis Sumara, Dean of the Werklund School of Education as they discuss the past, present, and future of teaching on the eve of the Faculty’s 50th Anniversary Conference. Featuring special guest Brian Aspinall Friday, November 9th, 2018 Teacher, author of Code Breaker, and professional speaker with three TEDx talks, Brian Aspinall, joins us to talk about celebrating and embracing failure to encourage kids to take risks, how to integrate coding as a tool for learning, his favourite app Twiducate, and a new book that he is writing. In this episode, Queen’s M.Ed. student Sawyer Hogenkamp shares valuable advice for anyone starting their masters, and discusses the Queen’s graduate community, his 3-Minute Thesis, and his research on bullying and school buses. Queen’s AQ instructor Paul Hannah stops by the CFRC studio to discuss how he became a teacher, his time at Queen’s, how education has changed over time and his classroom confession. In our first episode of Popular Podagogy, we have Lee Airton drop by the CFRC studio to discuss their James Bond like hobbies, debating in the classroom, the No Big Deal Campaign, blogging and more.